COLORADO SPRINGS, Colorado - Max Aaron may have been the 2011 men's junior figure-skating champion, 2013 U.S. national champion and 2015 Skate America champion, vying for a spot on the U.S. team in next month's Winter Olympic Games in Pyeongchang, South Korea. But all his grandfather wants to know is when he's going to machan a leibedik - Yiddish for "make a living." Aaron, who is 25, is working on it. He balanced his grueling training schedule with classes toward a degree in finance at the University of Colorado-Colorado Springs. A onetime hockey player who switched to figure skating after breaking his back in high school, Aaron took his competitive nature with him to the university, where he was determined to outdo his classmates. 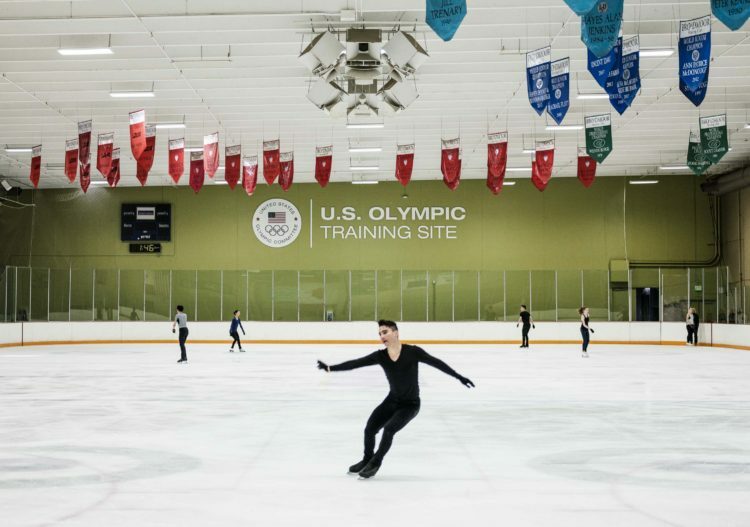 "I look at, they got a 99 - I'm going to get 100," he said during a break from the rink in the World Arena Ice Hall, where aspiring and elite Olympic skaters train. That doesn't mean it was easy. Because of his skating career, he hadn't ever taken the SAT or ACT, so he had to start at community college. He worked as a barback and a waiter on the weekends to help pay the tuition. To accommodate his three hours a day at the rink, plus warm-up time, strength conditioning, physical therapy and dance, he typically took his finance classes from 8 a.m. to 10:40 a.m. and 7:30 p.m. to 10:05 p.m.
"This is like a full day, and going to school at the same time is challenging," Aaron said of his obligations as an Olympic hopeful. "I laid out my entire schedule and these are my breaks and this is when the courses meet and where I can fit them in." Universities "don't work around you," he said, smiling wryly; "you work around them." Olympic athletes and hopefuls may comprise only a tiny handful of the nontraditional-age adults trying to get higher educations. But their struggles with finding the money and time to do it, among other problems, offer a surprising, high-performance illustration of the problems legions of older students face in common. American higher education long ago stopped being the exclusive sphere of the 18-year-old undergraduate right out of high school, tossing a Frisbee on a manicured quadrangle. Sixty percent of undergraduates today are over 25, working full time, financially independent of their parents, or connected with the military, according to the American Council on Education. That's nearly 16 million people. As the number of 18-year-olds declines, higher-education institutions and, eventually, employers, are becoming more dependent on this older group to fill classrooms and jobs. And the supply of them is vast. One in five American adults has earned some college credit, but never finished a degree, the American Academy of Arts & Sciences reports. Yet exactly at the time when more nontraditional-aged adults are needed to go to college, institutional and government policies make that harder than trying to skate uphill. Those credits often don't transfer, for example, forcing older students to retake courses they've already passed; the average transfer student loses 13 credits, or more than a semester's worth, according to the U.S. Department of Education. Federal financial aid is generally unavailable to students who don't enroll full time, while the annual $12 billion in state financial aid often has age limits, the Education Commission of the States points out. Older students also are ineligible for free tuition at community colleges and public universities in 14 of the states that offer or have proposed it. All of these things compound the struggles older students have affording college, balancing it with families and jobs and dealing with administrative offices and courses open only during weekday business hours. Combined with an improving employment market that has drawn some students back into the workforce, such obstacles have helped to steadily erode the number of older-than-traditional age people at U.S. colleges and universities, according to the National Student Clearinghouse Research Center. It reported last month that there were 228,000 fewer people over 24 enrolled in the fall semester than in the fall before that, and 1.5 million fewer than there were in the fall of 2010. Compared to most of them, Olympic athletes and hopefuls have some help. In August, the state of Colorado made them eligible for lower in-state tuition at community colleges and public universities; 56 are already taking advantage of that. There are 500 athletes at the U.S. Olympic Training Center, chosen by the governing bodies of their sports. "The athletes are a little bit at the forefront of this," said Leslie Klein, the USOC's director of athlete career and education and herself a former two-time Olympian who competed in kayaking and canoeing. "They're just trying to chisel away at their educations [and] we're trying to make it a little easier for them." In many ways, it's still tough. The USOC last year awarded $236,000 in tuition scholarships, for instance, but the amount requested was four times that much and only 80 athletes got them out of 120 who applied. Then there are the time constraints. Many older students juggle families and jobs with school; Olympic hopefuls train so incessantly that their training is often the equivalent of a full-time job. On top of that, they travel often to compete. A bronze (Vancouver) and silver (Sochi) medalist in bobsledding, Elana Meyers Taylor crawled much more slowly toward her master's degree in sports administration, which took her four years at a pace of two courses a semester. Then she started studying online for an MBA, often stymied by poor wireless service in the tiny ski towns where she competed. "So you can imagine getting an online degree is pretty difficult," she said. She'd work on her academics during travel time and at night. "I'd get a couple of hours in and study here and there," Meyers Taylor said. She got her MBA in finance in 2015, which helped her get an internship in finance with the International Olympic Committee and a job with InstaViser, a company that mentors athletes and others enrolled in education programs. "It's not easy," she said of combining work, study and international competition. "I'm not going to say . . . I wanted to sit down and read about the stock market" after every race. "It's about setting a goal and keeping that long-term perspective." 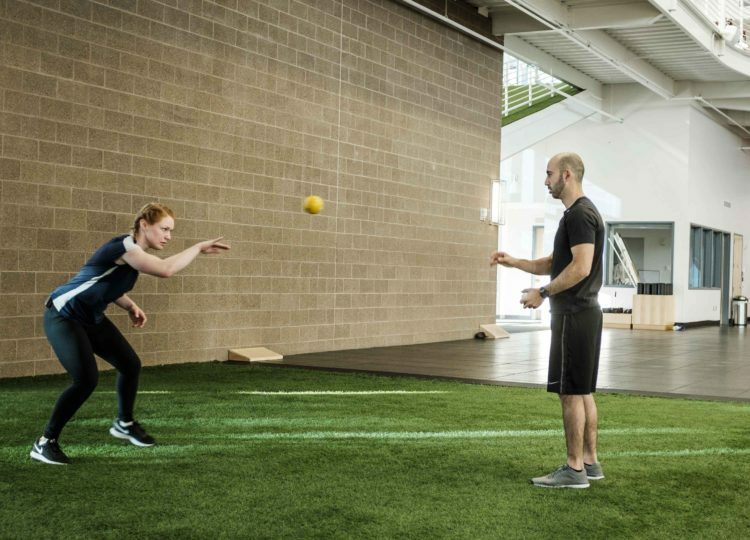 Jennifer Page, a 2020 Olympic hopeful in women's wrestling, just finished an undergraduate degree in health sciences and strength and conditioning at the University of Colorado-Colorado Springs. "It was quite difficult," she said, across town at the main U.S. Olympic Training Center. "I would wake up, I'd have class at 8 a.m., I had practice at 10. I'd eat, shower, go back to school from 1 to around 3:30 and then have practice again from 4 to 6 p.m. and I'd go home and eat, shower, do homework and go to bed. And that was my day." Page earned some credits at Oklahoma City University, where she spent a year on a wrestling scholarship but quit to train for London with the Olympic team. Not all of those credits transferred. And to stay in school, she had to take out student loans. It took her six years to earn her bachelor's degree. She had to study for finals while preparing for a major competition. She's now working online toward an MBA from DeVry, which she hopes to use eventually to help expand her sport in the United States. Page was amused to hear her younger classmates complain about how hard college was. "I think how easy it would be if all I had to do was go to school," she said. "Life seems so simple when all you have to do is show up for school and do your homework." Figure skater Mirai Nagasu, who also hopes to return to the Olympics - she came in fourth in 2010, when she was just 16 - carries with her to the practice rink a three-ring binder with notes from an accounting class and a textbook about business law whose cover has been chewed off by her Australian shepherd dog; important pages are bookmarked with decorative sticky notes she got from a fan. 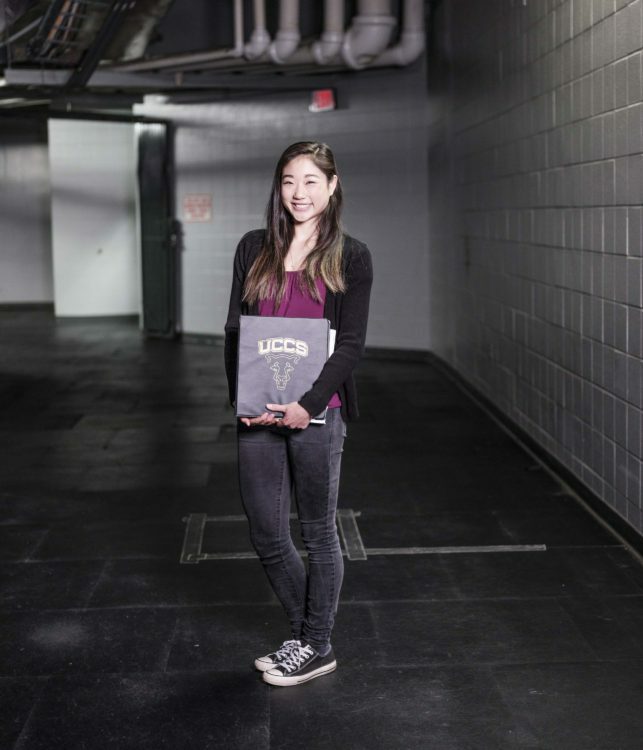 "Whenever I have a break, I'm back on my computer and studying," said Nagasu, now 24 and in the equivalent of her junior year on her way to a bachelor's degree in international business from the University of Colorado-Colorado Springs. "It is so beyond difficult to balance it all. During finals week I don't get a lot of sleep and I tell myself, 'I can't do this any more.'" But she and other Olympic athletes do, because they know their competitive years will someday end. "An athlete ends up at the pinnacle of a career sometimes as early as their late 20s and they've never known a life outside of sport," said Klein, who interrupted her own education to compete before later earning undergraduate and graduate degrees. "If they haven't gone to school they have nothing to lean on in terms of a career outside of sport." Meyers Taylor said she was encouraged by her father, Eddie Taylor, a standout football player at Navy who aspired to the NFL but played only exhibition games. "He always taught me that regardless of what I wanted to do in athletics, education was the most important thing and one day my athletic career would come to an end," said Meyers Taylor, who now aspires to earn a doctorate "in something. I don't know what yet." 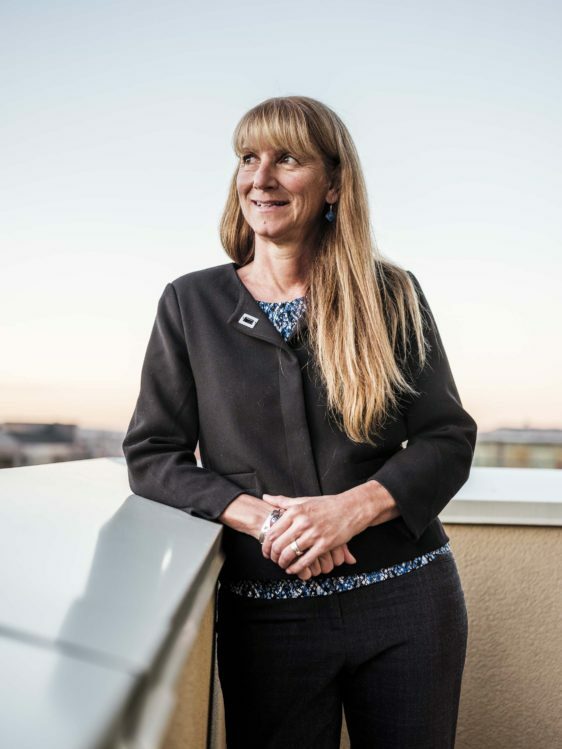 Other countries that are part of the International Olympic Committee Athlete Career Program do more for adult learners in general and athletes in particular, Klein said. "There's a lot more put back on the athletes in the U.S. than in Europe," she said. "In general, having to pay for your education puts Americans at a little bit of a disadvantage." As for Max Aaron, he hopes to ultimately work in financial services. "I have met a lot of athletes who were on the top of their sport, and then sat around and did nothing. They just didn't know what to do," he said. "It eventually ends, and that's what I think a lot of athletes forget. It's 10 years after the Olympics and you won the Olympics and that's great, but no one cares." His graduation ceremony last month was held in the arena next to the rink where he trained. His grandfather couldn't make it, but his parents did. After he received his bachelor's degree, he went back to the locker room, changed clothes, and got back on the ice to train some more.